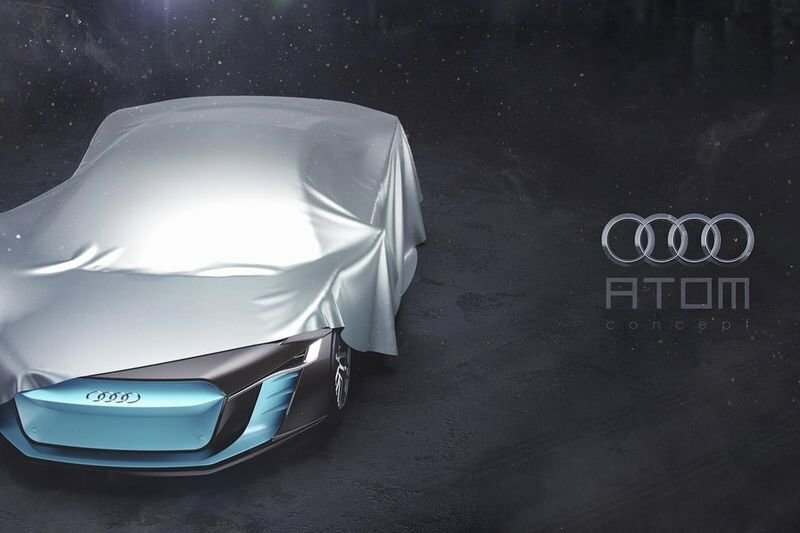 With some of the styling features derived from the Audi R8, this so-called ATOM concept looks suspiciously big to be a simple supercar. However, it is only a fan made render from Konstantin Pankratov, but we can still speculate what it could do based only on its appearance. The long body and futuristic lines scream high-performance electric Gran Tourer, so hypercar would pop in your mind, but it is just not aggressive enough. The front end of the Audi ATOM is really interesting, with the four rings angled upwards. Then there are the really sharp headlights, which almost acts as an extension of the massively flared fenders. Maneuvering around town in this thing would not be all that fun. Another notable design trait includes the panoramic windshield, massive wheels, cameras for mirrors (probably) and a unique rear end that features suspended taillights, which is not something you see every day. Overall, we would not really call this resign all that unrealistic, in fact, it totally looks like it co-exists with Audi's recently revealed real-world Aicon Concept. Have a look at the images in the gallery above.